MONTREAL, QC / ACCESSWIRE / February 12, 2019 /The founders of Boss North SEO, a Montreal SEO company, are pleased to announce that they are now offering a free SEO website analysis to visitors to their website. The complimentary analysis is available through Boss North SEO's BossBot Facebook messenger bot. 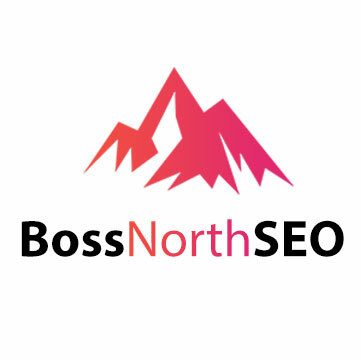 To learn more about Boss North SEO and the search engine optimization service that they offer throughout Montreal, Quebec, please visit https://bossnorthseo.com/montreal-search-engine-optimization/. As a company spokesperson noted, the founders of Boss North SEO know that while many businesses have websites, they may not be attracting as many customers as they would like through organic search. This inspired them to offer a free SEO website analysis through the user-friendly BossBot. Visitors to the site can simply click on the ''Free Website Analysis'' button on the site. After receiving the complimentary SEO website analysis, online business owners are more than welcome to reach out to the friendly and experienced team from Boss North SEO for assistance. ''Our team of SEO specialists work with small businesses that want more search traffic to their businesses, and are ready to propel their websites to the top of Google for keywords that get anywhere from hundreds to thousands of searches per month,'' the spokesperson noted, adding that from Laval to Longueuil and the surrounding area, the team at Boss North SEO is proud to be Montreal's trusted SEO company for local businesses looking to climb to the top of the search engine rankings. For company owners who are unsure how or why search engine optimization is so important, the team from Boss North SEO is ready and able to help. They understand how nearly every business would like to see an increase in customers, and they are able to help propel their clients' website rankings into the top results on Google. ''Our team can deliver results, with over 10 years of experience in the digital marketing space using SEO to rank our own businesses online as well as those of our clients,'' the spokesperson noted. Boss North SEO is a digital marketing agency based in Montreal, Quebec. Since 2016 they have been working with local businesses small and large to build their businesses online. They offer a range of specialized services including SEO, web design, social media marketing, and Facebook messenger bots among others. For more information, please visit https://bossnorthseo.com/.